This breakthrough formula is nothing short of a miracle for oily skin, absorbing oil, camouflaging imperfections and leaving a long-lasting, velvety matte finish – and all without drying skin out. 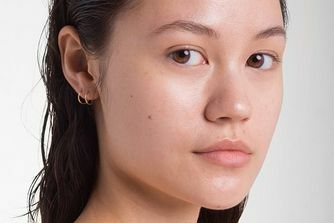 Controlling the oil that can lead to blemishes and drawing out impurities with cashmere clay, this can actually minimise breakouts, rather than causing them. 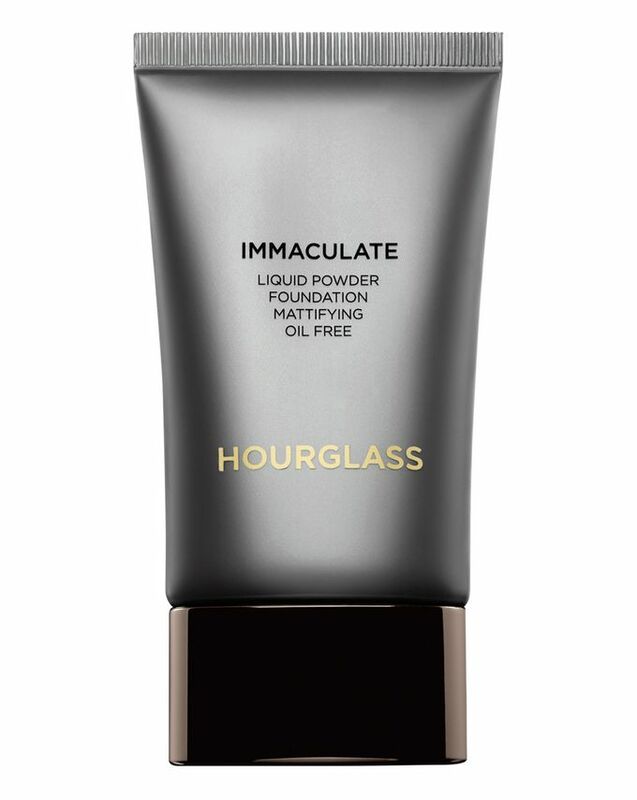 Transforming instantly from a liquid to a powder, this is a foundation that truly lives up to its name, leaving the immaculate finish for which Hourglass is renowned. 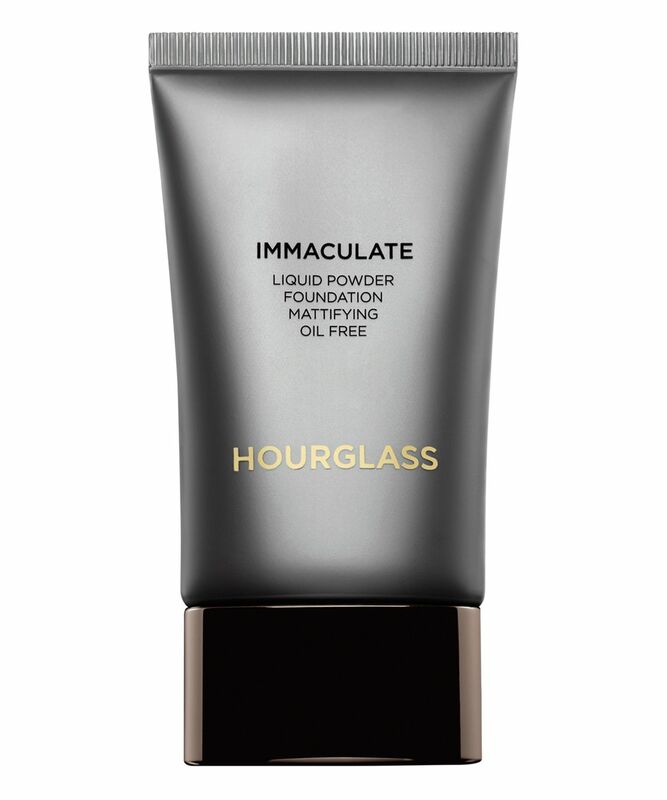 Perfect for oily, blemish-prone skin, Hourglass’ Immaculate Liquid Powder Foundation truly lives up to its name, creating a seamless, velvety matte finish that controls excess oil (and all the issues that come with it). A breakthrough oil-free formula, this foundation is formulated with cashmere kaolinite to draw out impurities and control oil, minimising blemishes rather than encouraging them – and all without drying skin out. Transforming instantly from a liquid to a seamless powder, this utterly immaculate foundation has been shown to reduce the appearance of blemishes, pores and acne scars, delivering natural-looking, matte coverage that lasts. In a lightweight, travel-friendly tube, it’s available in 22 versatile shades to flatter your natural skin tone, from very fair ‘Blanc’ to deep ‘Ebony’. Shake tube and squeeze product onto the back of the hand. Using circular strokes with a brush, apply and buff the product onto the face, loading the brush as needed. Work quickly and in small sections, as Immaculate Liquid Powder Foundation immediately transforms from liquid to powder as you blend. It is an excellent matting compound, it lasts on my oily skin without powder for about 6 hours. But it must be applied very quickly, it freezes instantly and is light enough to overlap the pigmentation and red spots. I have a very oily T zone but often get dehydrated in the cheek and eye area. This foundation is the best of the many I have tried in that it successfully suppresses shine for a good few hours (not the glowy kind, but the greasy kind!) It isn’t perfect and starts to fail towards the late afternoon, hence the 4 stars, but I’ll take that over having to touch up many times throughout the day. It also gives pretty decent coverage considering the consistency is incredibly light. It doesn’t seem to clog pores or cause spots either.